We’ve tried numerous times here at Backcountry Treks to convince our readers that Muck Boot Company boots are more than just the name implies. Tyson and I use Muck Boots as our daily winter boot heading to the ski resort or going on snowy hikes with Hank. In the summer time, we use them to work in around water and chemicals and on rainy days there is nothing more perfect. 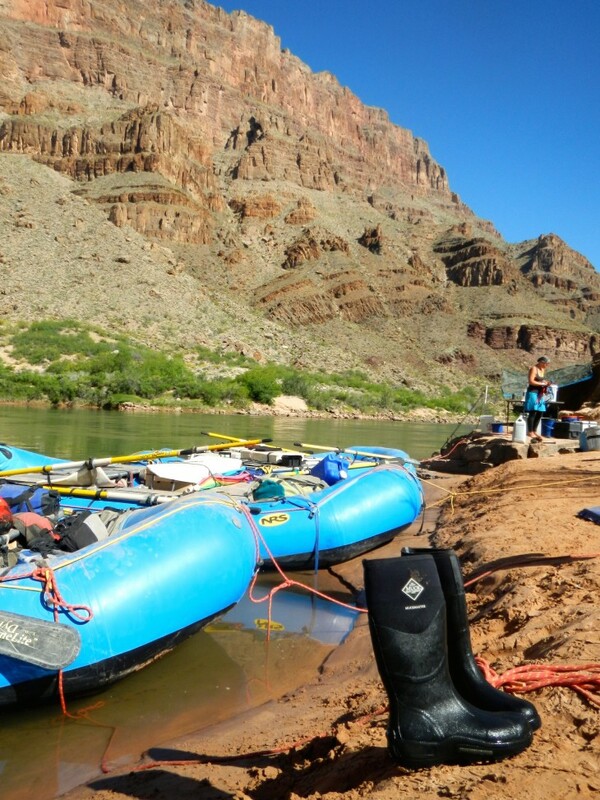 This spring, two water-loving adventurers, Carrie and Alex, had the opportunity to take Muck Boots with them on their 21-day 226-mile river trip to show you all just one more way that Muck Boots are an adventure boot too. Proving that this boot is a four-season, multi-environment, versatile addition to your closet, they also found that these were the perfect boots for early morning camp pack-ups before heading out for a long day on the river. 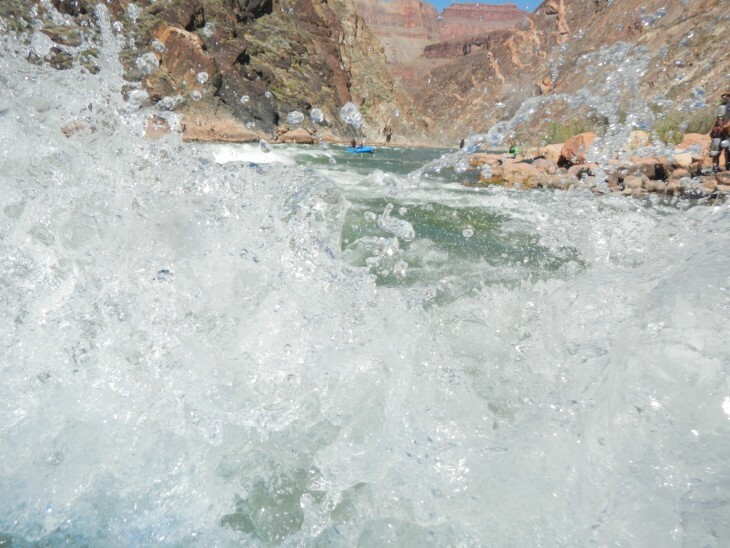 The Grand Canyon is an unbeatable place; from listening to the water flow every day and night, to the beautiful stars. 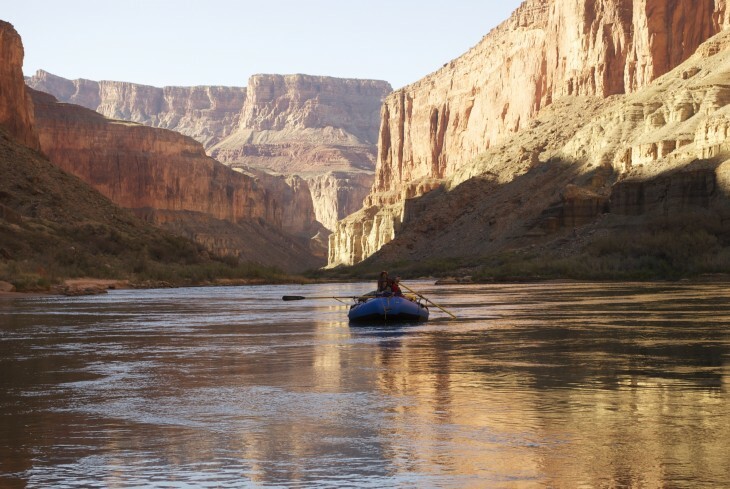 It is definitely an adventure for any outdoor enthusiast’s bucket list. Alex wore the Men’s MuckMaster HI, which was a durable boot that kept his feet protected and warm during the spring trip. 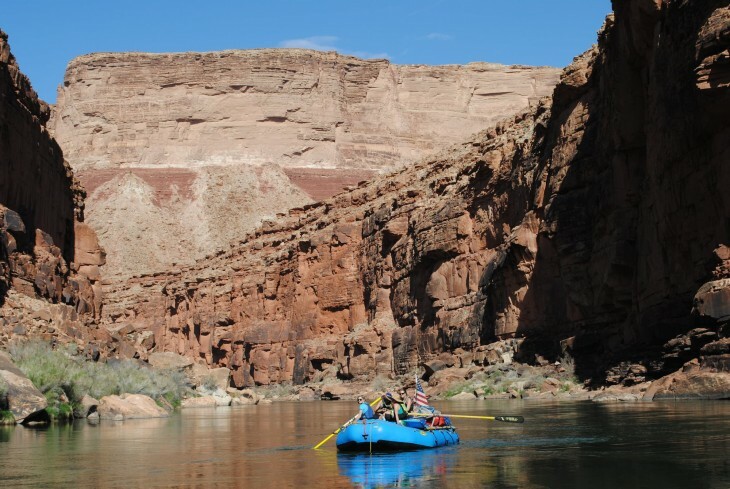 In March, the river is still pretty chilly and while daytime temperatures can be comfortably warm, nighttime and early mornings can still reach the 30’s. Alex and Carrie found themselves to be extremely lucky with the weather and grateful for not running into any unexpectedly cold weather. The MuckMaster HI is a comfortably fitting boot that is easy to get on and off. The 100% waterproof feature is an absolute must when you’re trudging in and out of the chilly water. Combined with a grippy sole, the MuckMaster HIs performed well in diverse riverside terrain. One of the most exciting things for Alex about testing out the MuckMaster HI boots was thinking about all the ways he’ll be able to continue to use the boots year-round. Whether he’s taking out the dirt bikes for an evening spin or heading out for a wintery snowmobile adventure, these will be his go-to boots! The range of temperature rating—-20°F-50°F—has Alex thinking he’ll be in and out of these boots all year round. For both Carrie and Alex, they preferred a tall boot because they were able to pack the boat on the shore of the river without getting wet at all. 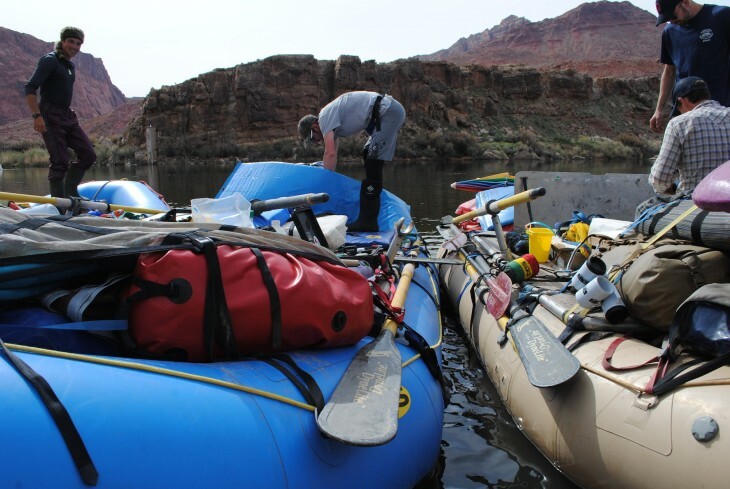 The boots are also light enough to pack on your outdoor adventures, and they loved the grab loop on the boots enabling them to hook them through a carabiner and hang off the side of the raft while they paddled through one of the natural wonders of the world. Carrie went for a colorful option with the Women’s Arctic Adventure Boot that combines functionality with style and color. 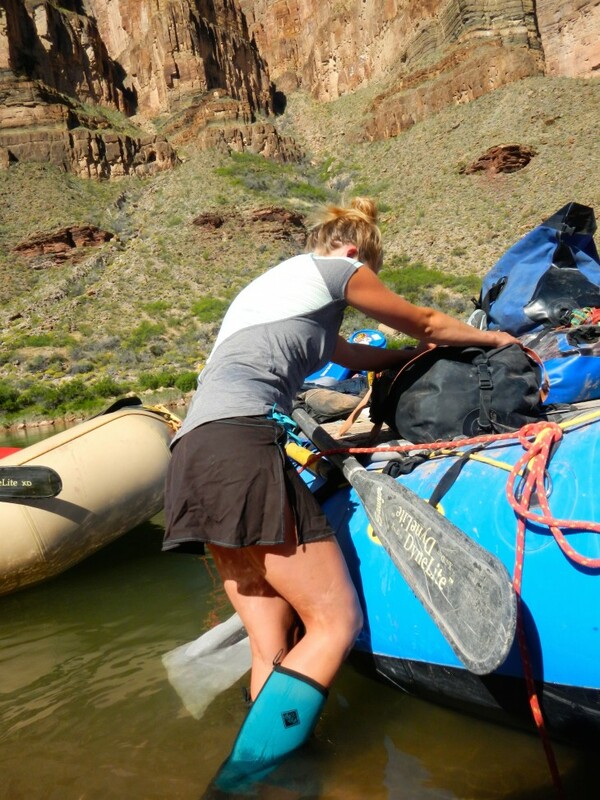 While Carrie’s favorite thing about the boots was the color, she was also really excited to have warm and dry feet in the early mornings on the Grand Canyon. The fleece lining was both soft and comfortable and kept her feet warm. Similar to Alex’s MuckMasters, the Arctic Adventure boots are 100% waterproof. These boots are also rated -20°F-50°F and their spring adventure was a perfect environment to test them out in. With Colorado’s crazy spring weather, she even had the chance to test out the Arctic Adventures in over a foot of snow in Colorado in April. She loves the grippy outsole and they provided excellent traction in the water and on the boats (which can get quite slippery when wet). 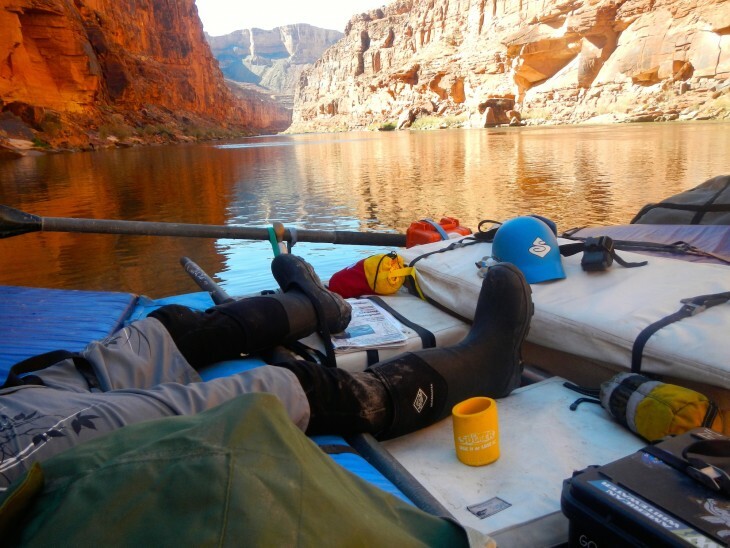 Overall, Muck Boots kept Carrie and Alex safe, warm, and comfortable on their 21-day adventure through the towering Grand Canyon. Their experience highlights another way that Muck Boots are appropriate boots for endless amounts of adventures! Muck Boots are versatile for any environment you may find yourself in and there will be many times you’ll be lucky to have warm and waterproof boots on your feet. Cally Arndt I love dogs and skiing and I'm on my way to a life well lived.